Dry rot is a threat in every property in which moisture levels rise to 20% or higher. This can be in a closed off room, an attic, a cellar, a poorly ventilated space, caused by an outstanding plumbing repair, a hole in the roof or a drainage issue, but remedial dry rot treatment from wood rot specialists is imperative; the sooner, the better. However, it’s true that prevention is better than cure, so by acting today to ensure that dry rot cannot take hold in timber if there is an elevated moisture level, you can shield yourself from significant expense, and stress. The airborne fungal spores are always present, they simply need the right conditions to embed themselves in untreated timber and to fruit across an ever-expanding area. As dry rot can present significant risks to a property’s structural integrity, health and safety for people and animals within and jeopardises maintenance contracts, mortgage and insurance agreements, why wait for an issue to appear before you act? Accredited experts like the team at Thames Valley Timber Treatment offer effective treatments which are not available in the public domain, have industry partnerships with specialists like Sovereign Chemicals, and offer dry rot treatment guarantees of up to 30 years so that you can dismiss any worries. A full professional survey delivers an accurate assessment of susceptible areas. Remove guesswork which could lead to counterproductive dry rot treatment. Also, novices can easily confuse signs of dry rot with wet rot, don’t allow yourself to fall in to the trap. 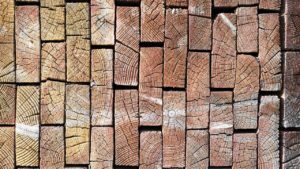 Treating every timber and spreading chemicals around a property just in case, and at the risk of personal health is not a viable option, nor should it be advocated by wood rot specialists. Tailored treatment minimises dangers and maximises safety. Surely, that’s the perfect way? You wouldn’t let a doctor place a plaster cast on your arm if he or she didn’t do any tests or observe the arm to make an accurate diagnosis so please don’t be cavalier about timber’s wellbeing.